Such efforts so far have garnered little attention, but the emergence of an insurance market marks an important step for the nascent industry's mainstream recognition. Christopher Liu, who heads American International Group Inc's North American cyber insurance practice for financial institutions, said the answer is to find an established business with a similar risk profile and try to adapt what works there. “It’s sort of akin to a digital armored car service," he said about cryptocurrency firms. "If there is a problem – like an accident or a robbery - that’s going to be the accumulation of all these exposures.” Liu says AIG began researching cryptocurrency theft coverage in 2014 and has written a few such policies, but remains in an "exploratory phase." "The first challenge for us was to figure out if there was a product here." XL Catlin now offers annual crime coverage of up to $25 million per incident, Bangs said. Lloyd's of London, the world's largest insurance marketplace, was providing insurance to the exchange, according to a person familiar with the matter. Reuters could not determine the terms or the scope of the coverage and a Lloyd's spokesman declined to discuss Coinbase. 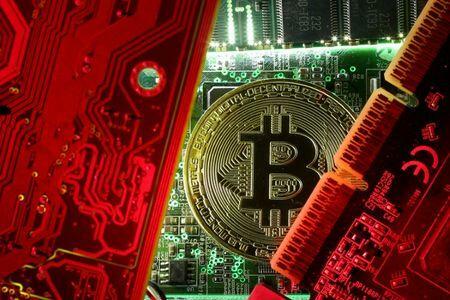 He said that member companies have written a small number of policies for cryptocurrencies in recent years and Lloyd's was requiring members to proceed with caution and use additional scrutiny of cryptocurrency companies. “We’re looking at it, but does it make sense to offer a market for that?" said Frank Scheckton, President of Great American’s Fidelity Crime Division. Cameron Winklevoss, co-founder of Gemini, a cryptocurrency exchange and custodian, argues insurance should not be an investor's primary concern. “The key is to look for regulatory oversight that ensures that an exchange is doing what it should be doing so that it doesn't get to the point where you have to fall back on an insurance policy," he told Reuters.